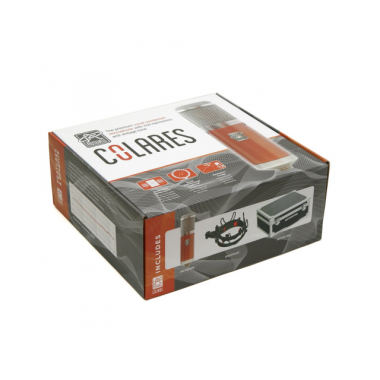 The Colares® is a large-body condenser microphone with a larger than life sound. 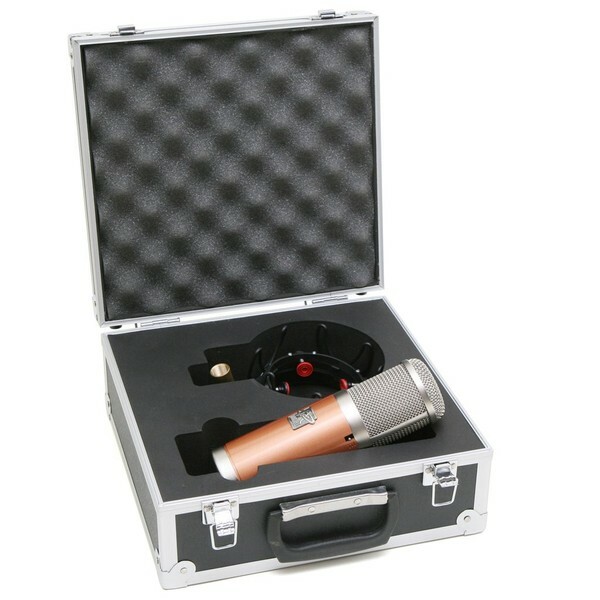 It is our flagship vocal microphone, and excels at injecting color, vibe, excitement, and life to a track. We build every Colares by hand in our shop in Northern California. 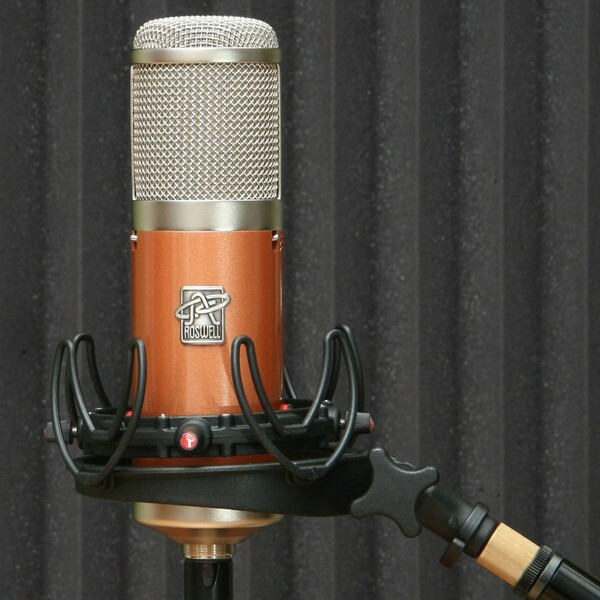 Each mic is "burned in" for at least 24 hours on our proprietary conditioning rig, then extensively tested before the Roswell badge goes on the front of the mic. 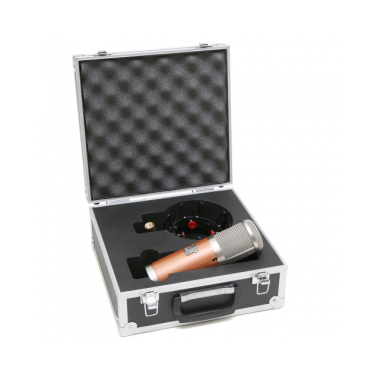 The mic ships in a custom, heavy-duty flight case, with a Rycote shockmount. 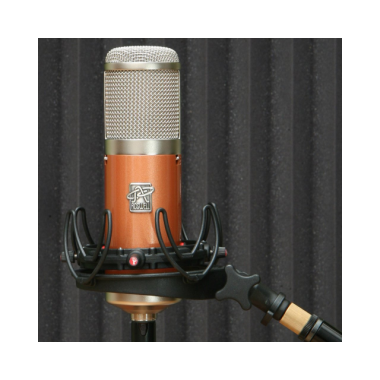 We designed this mic to make your vocal recordings sound incredible. 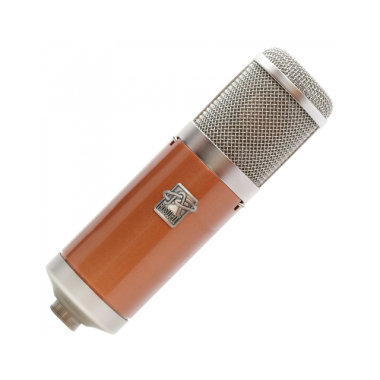 We have heard phenomenal results on a wide variety of other source material too, from bass cab to drum overheads. Thanks to its handcrafted circuit topology and uncompromising component selection, the Colares effortlessly delivers a harmonically rich, vintage sound. We look forward to hearing the music you make with it! - Level reduction of 10dB. - Reduction of second harmonic content by 10–12dB. 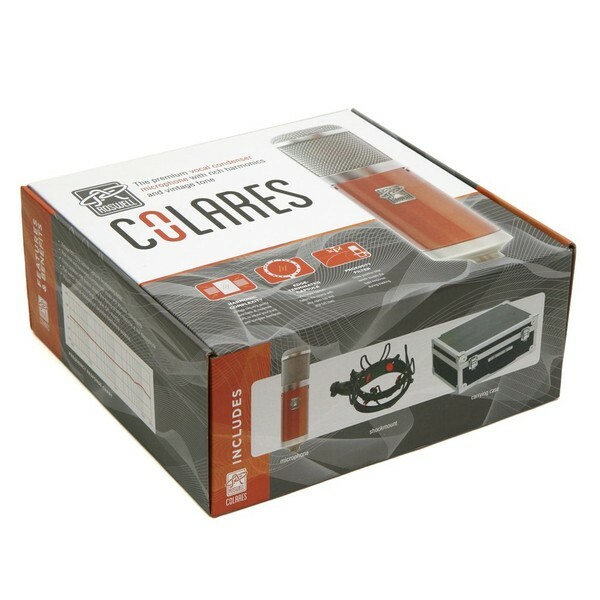 The Colares is made with the finest components in the world. 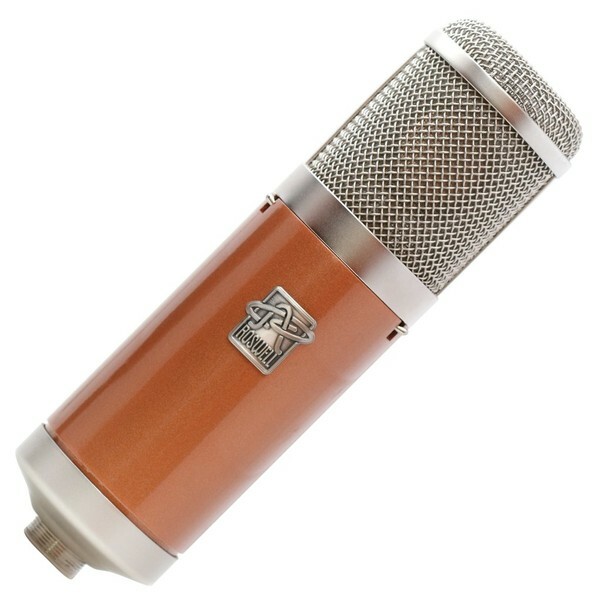 We made no compromises in the design of this microphone. The JFET is a NOS part, specially selected and individually "biased" using a custom test fixture. Critical audio-path capacitors are US-made film and foil parts. Resistors are audiophile grade, 50ppm 1% tolerance parts from PRP, Vishay Dale, and a third supplier we're not willing to share. Switches are premium C&K parts rated for 90,000 uses (approximately 115 years of regular sessions ;). The output transformer is a custom-wound unit from Cinemag.